Traditionally used in Western herbal medicine for hormonal balance. 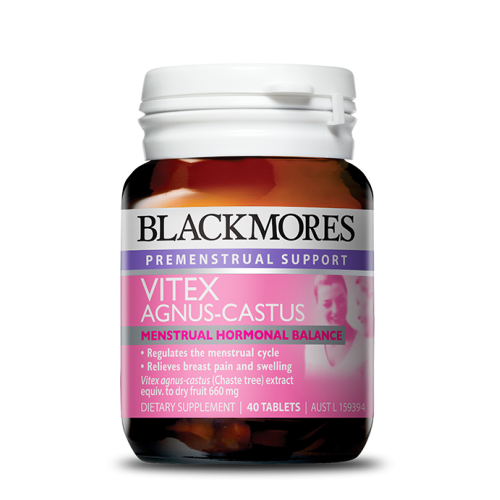 Blackmores Vitex Agnus-Castus is a traditional Western herbal remedy to aid in the relief of premenstrual symptoms of premenstrual syndrome such as tension, breast tenderness and fluid retention and to help maintain healthy hormonal balance. Vitex agnus castus is a western herbal medicine, traditionally used to normalize heavy, absent or irregular periods and premenstrual syndrome.